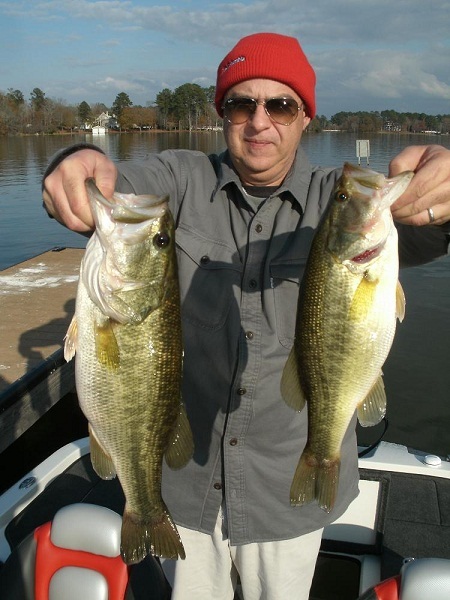 For such a small Coosa River impoundment, Mitchell Lake is big on summertime bass fishing. 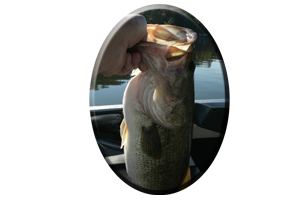 This is easily determined whether an angler is going after largemouth bass or targeting one of Mitchell Lake’s well known “fighting ball of fury” the Coosa River spotted bass. At times both of these Mitchell lake bass species can be found mingling together. Trophy-sized bass, in both classes, any angler would be proud to battle with…even in the hot summer time heat. An almost unbearable heat, that will eventually be near 100 degrees again this summer. I can remember one particular hot, summer day. A day that took place many years ago. A day I’ll never forget. When I caught the biggest Coosa River spotted bass I have ever seen! It was a very hot, fourth of July weekend. I was doing what we anglers call, “just fishing.” Not practicing for an upcoming tournament, not even actually fishing in a tournament or, as I have done dozens of times before, not taking a client fishing to Mitchell Lake. Just fishing. No pressure, in no hurry and no one in the boat – but me. It does not matter where I was fishing (Mitchell lakes headwaters), and it really does not matter what lure this, “fish of a lifetime” was caught on, although it just happened to be my favorite lure and my favorite style of fishing. It was the end results of this fantastic day. A day that any angler would love to have shared with me, including a memory that now stands out in my mind every time I fish Mitchell Lake. No, I did not load the boat that day. As a matter of fact I had only caught 4 decent bass while fishing from dawn until about 10 a.m. that morning, when the monster bass attacked. On that hot, muggy mid-summer morning I was already soaked in sweat and to tell the truth, I was contemplating a boat ride back down the lake just to cool off. That was what I was thinking anyway…right before a big gizzard shad went skipping across the surface of Mitchell lake’s calm waters and I quickly fired off a long cast. A well placed cast that landed right on target. A loud explosion took place, quickly changing my mind about leaving an area I had not got a bite during the previous hour. My trusty topwater lure, the Jimmy Houston signature series, “Zara Super Spook” had scored again. The fight was on. For minutes it seemed – when actually it was only for a minute. I knew I could depend on the over sized # 2 front and back (Gamakatsu) hooks I had replaced on the 3 hook model spook earlier. Now, I was intently thinking, if only the 20 pound test Trilene Big Game line held, my knot held up, the rod did not break or the ABU Garcia 5500 reel performed well, as it had so many times before. Maybe I could land this monster bass. I could actually see the fish in the far distance. It had been a very long cast. 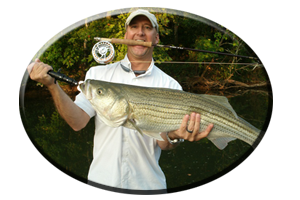 But I still could not determine whether or not it was a big spotted bass, largemouth bass or a huge, striped bass. Soon it was very evident as I wore down the forever memorable fish and I got a real good look at the trophy sized bass for the very first time, as it rolled up along side the boat exhausted (as I was), from the lengthy battle. A spot. A huge spot at that! So fat, so big, I was actually thinking in terms of some kind of record sized spotted bass. The biggest spotted bass I had ever hooked into or even seen alive. I netted the fish and then took it back to Mitchell lake’s Higgins Ferry public boat launch to quickly get some pictures. After all I was alone. Weighing the huge spotted bass, I discovered it weighed 7 pounds and 4 ounces. We took some pictures. To the disbelief of the on looking crowd, I walked down to the waters edge and then rather reluctantly let the huge bass go, to live and fight another day. To give another angler a very memorable day just like mine. So it is still possible for any angler to fool such a trophy spotted bass on Mitchell Lake? I would say yes, for sure. I’ve heard of anglers catching even bigger spotted bass. There are also some big largemouth bass on Mitchell lake, some in the 10 pound class. But bass of this size still do not come easy. Most anglers that frequent Mitchell lake (whether they fish during the day or at night), have still not caught a spotted bass exceeding 5 pounds or a largemouth bass exceeding 6 pounds. They do exist, but like any lake you have to fish long and hard to even hook into one. Getting it in the boat is another objective. There are many tales of “the big one that got away” most of which falls blame on angler error. So first you have got to be ready. New strong, dependable line should be changed on all reels, replaced hooks or sharpened hooks on all lures and you should always tie a good knot. A good rod and reel combo and a good net and netman, is all you need for this recipe for success. That is, if everything holds and you successfully play down the bass as well. This all takes patience and skill. Mitchell lake is a small lake and it can get very crowded during the summer months. Its just plain hard to get away from the crowds on such a small lake. But there are times when less boats are on the water this summer season. Night fishing will show less company. Fishing early around dawn can show 2-3 hours of peace and solitude on weekdays. This goes for fishing during late evening hours when the summertime crowds are usually leaving the lake. Location, location, location. 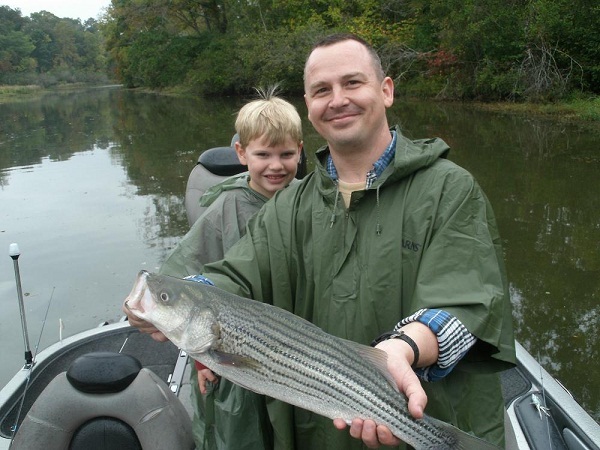 Choosing the right place to fish can have its rewards or its downfalls. Being in the right place at the right time has shown many anglers success, instead of failure, like when constantly fishing the same old spots time after time. For one, I always mention Mitchell lakes headwaters. You will see big towering islands bordered by deep drop-offs. There are also some small flat islands in Mitchell lakes headwaters. Always fish both ends of these islands and along the sides, especially banks with eddy areas or less current, for feeding bass. Keep in mind, Airplane Island, the island closest to Lay lake dam, receives the main flow of water and has lots of current around it. It is also the first island the schools of washed in bait fish hit as they are swept downstream. Rock bluffs can be found in Mitchell lakes headwaters, along the mid lake area and some bluffs are seen in Mitchell lake’s major feeder creeks as well. Big, old spotted bass, some big largemouth bass and an occasional striped bass can be caught all summer long, while fishing along these rock bluffs. Look for irregular features along these bluffs, places where both bass and bait fish can escape the often swift current. Small pockets or broken-off, boulder strewn banks, are very attractive to these prey and predator alike. Although swift current does not allow aquatic weeds to grow near the Lay lake dam area, al least not as much as downstream, there are some weeds worth investigating in Mitchell Lakes headwaters. Largemouth bass are found within these weeds and some big schools of spotted bass can be found cruising the weed edges, often all day long. These weeds are places where being at the right place at the right time can be possible. Returning several times to a likely looking weedy bank can show active bass feeding, often in places you did not get a bite in earlier. 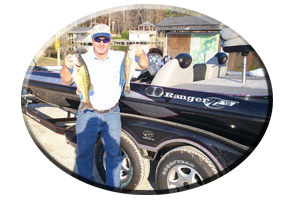 Flats have edges, drop-offs or old river channel ledges, places that both spotted bass and largemouth bass move up on and feed during summer. Along these shallow flats are places they rest in deep water when they not very active. You can catch bass of both kinds here. Usually at dawn bass are feeding here, also right when the water is cut on they feed here and when its immediately cut off they feed here as well. Also at night. Look for bait fish and surface activity no matter where you fish on Mitchell Lake this summer. Try lures fished on top, in mid depths and on the bottom. Also, just like when fishing points, get your boat up shallow on these flats and then throw your lures out in deeper water, dragging them up these deep drop-offs bordering shallow flats. Mitchell lake has plenty of places to explore this summer. Try new places. Don’t fish the same spots all the time expecting miracles. There are miles of feeder creeks, many miles of weedy banks and loads of wood cover to decipher and rock cover found lake wide. This goes for fishing during the day or at night. Lures? Bring all you’ve got they hit anything in the summer. 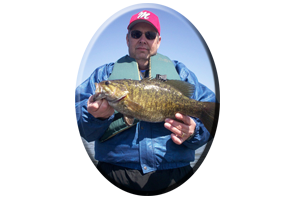 * Looking for help on exploring Mitchell lake or learning to fish for bass and stripers on Mitchell Lake? Always call on Reeds Guide Service…first! Alabama’s oldest, freshwater fishing guide service. 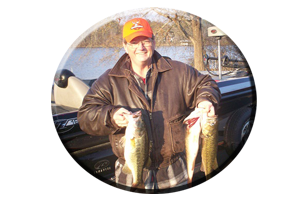 Mitchell lake’s only professional guide to call for spotted bass, largemouth bass and an occasional striped bass, year round. Several guides and boats available for multiple parties and corporate guided trips. Discounts available.